Add a touch of distinctive refinement to any Jaguar XJ model by upgrading your existing grille to this highly distinctive new style similar to those fitted to 2008 and onwards models. 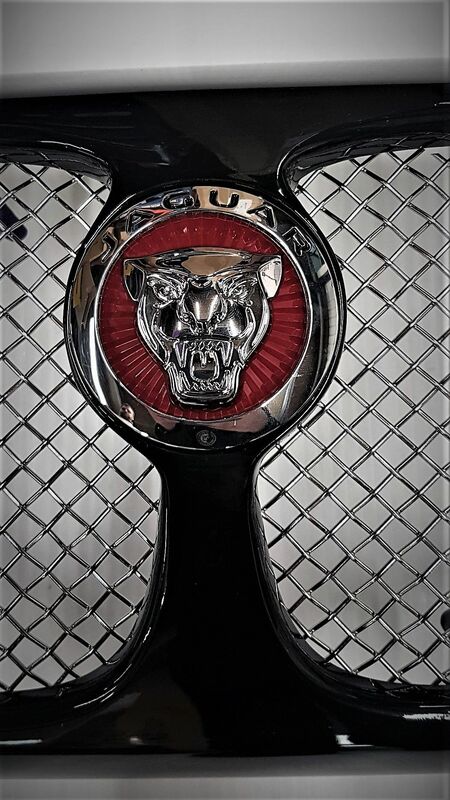 Supplied with body-matching coloured surround only (let us know your paint code), and set-off strikingly with a new, larger Jaguar emblem in the centre (red or black). It also has the added benefit of having stainless steel mesh inserts instead of the plastic honey comb. It is a grille that maintains a pristine shine and reflective finish while giving a modern look. This will fit all XJ X350 models, and is a direct replacement for the existing grille. 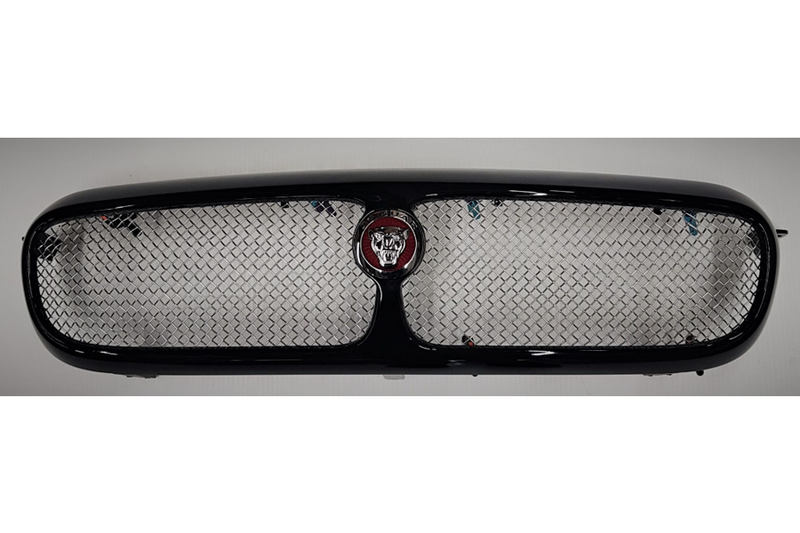 Transform your car simply remove the fixing bolts, lift out the old grille and remove the black air ducts off the back of your original grille, these are then fitted to the back of the new grille to hold the mesh inserts in place. We can supply these at extra cost if required. Refit the grille.